This set has got to be one of the most popular LEGO Ideas sets ever. It sold out within a couple of hours and stayed sold out for a few weeks. Since the first release date, it’s been re-released twice, and again sold out within the hour both times. The concept was the brainchild of Ellen Kooijman (Alatariel) and was first submitted to LEGO Ideas around June 2013. It got 10,000 supporters in a couple of days! 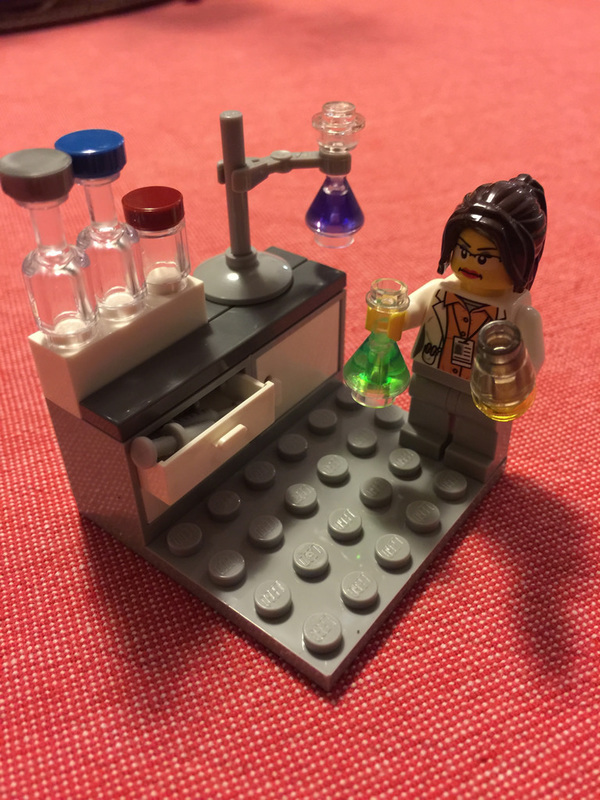 It was actually first proposed as the Female Minifigure Set, but LEGO changed that – thank goodness! I was a little late to the party with getting this one, so I ended up paying a bit more for my copy, but it was definitely worth it. It now takes pride of place on my main display shelf. 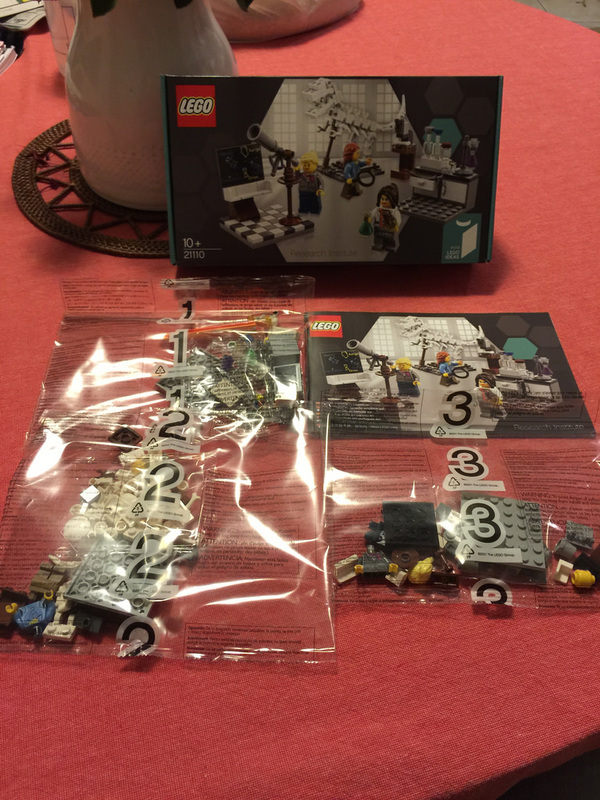 Out of the stunning box (all LEGO Ideas ones are), you’ll find 3 bags of goodies and a booklet. Each bag has a different vignette – the Chemist, the Paleontologist, and the Astronomer. There are a few elements that are unique to this set. First, there’s the chalkboard 4×4 plate with 4 studs. This is a printed piece, so pretty great to have! Next up is the dinosaur tail and the nozzles (used as the dino’s feet). These are both unique to this set as they’re in White. Finally, there’s the white torso of the Chemist, never before seen in a LEGO set. That’s not all though. There’s plenty more to see! The Chemist’s flasks, bottles, and a sextant are all available in this release too. 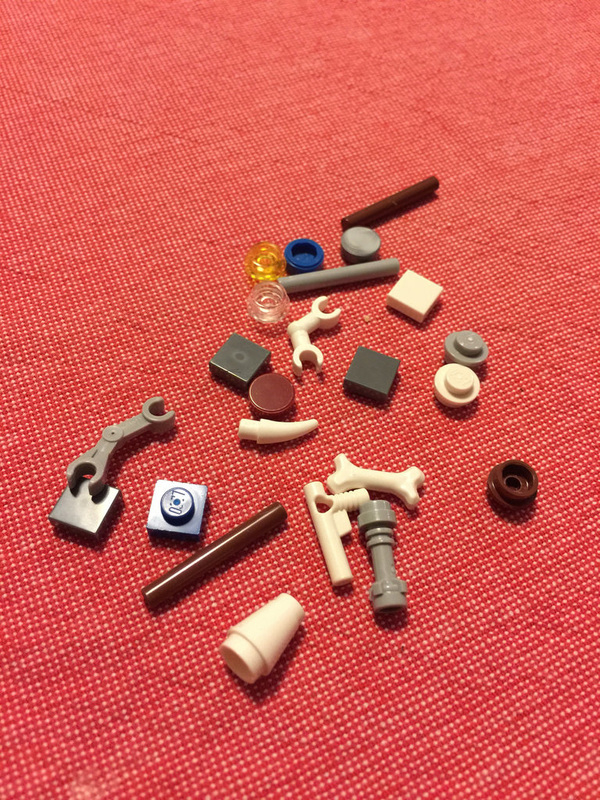 There are loads of other parts that are only available in a couple of other sets, but if I talked about them too, we’d be here all day, so let’s move on. The minifigures in this set are really great. All come with nice printed torsos, and all have reversible heads! Each one has the option to be either freaked out, unsure or concerned, so if something bad happens in the lab, you can switch them around! The spares in this set are pretty good. Lots of standard parts, but also a nozzle, a bone, a horn, space skeleton arm, light sword shaft, and a bit more, including 3 shafts of different colours. I’m pretty happy with the spares in this one. We’ll go through these one by one. First up, the Chemist! Each vignette is built on an 8×8 plate, and out of all three of them, the Chemist is the most straight forward to build. There’s a simple bench made from a couple of cupboards. Inside the cupboard you have some mugs, and the drawers hold the syringes. On the bench top there are bottles, a jar and a ring-stand and clamp holding a chemical bottle with what looks like some chemicals in it. The Chemist holds another flask and chemical bottle in her hands. The Paleontologist has a separate microscope, and it looks really effective – but maybe a little tall. The drawcard of the set is the brick-built dinosaur. It looks really great, and encourages more dino building in the future! Maybe a much bigger one? 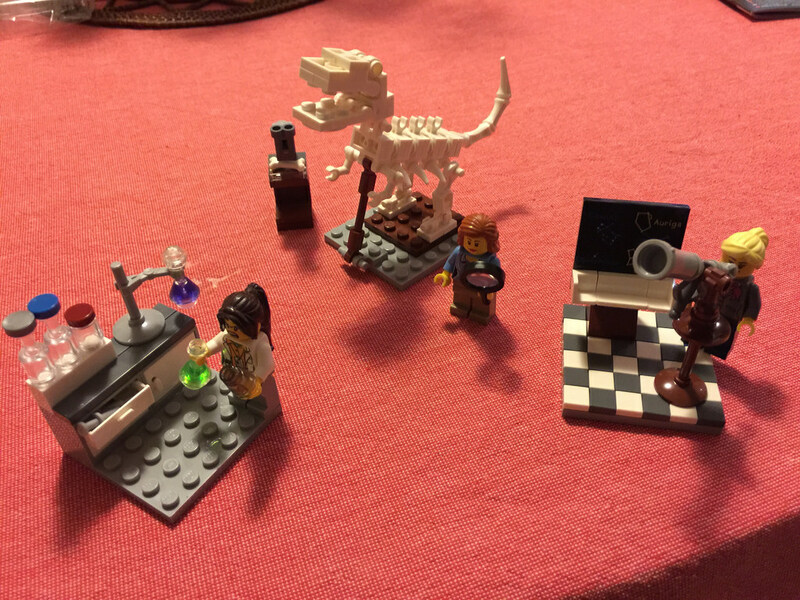 Because the dino takes up the entire 8×8 plate, the minifigure and microscope are separate. Be careful not to lose the extra bone while it’s sitting on the microscope! 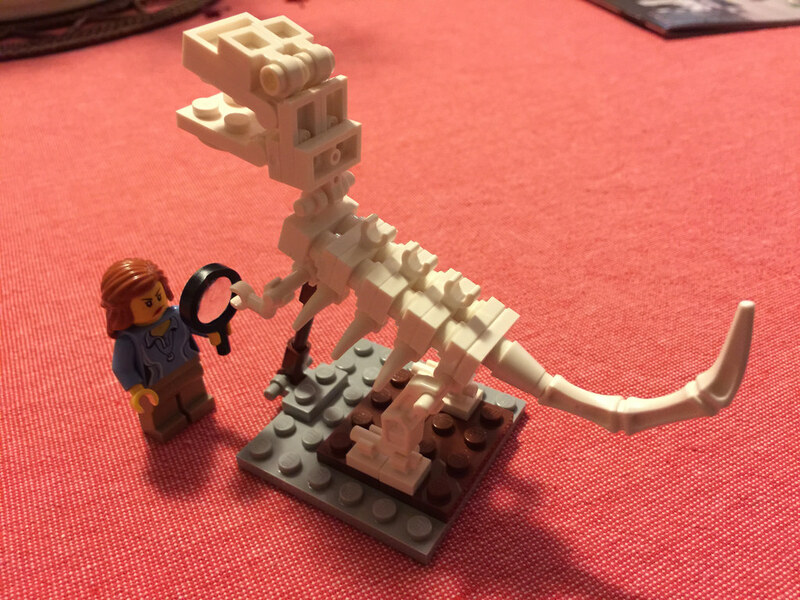 The Paleontologist also carries a magnifying glass to help her studies. The Astronomer has a great little setting, complete with a constellation board full of constellations (Gemini, Canis Minor, Auriga, Taurus and Orion). There’s a nice tiled floor (which took me ages to set the tiles straight), and on top of the tiles, a fantastic looking telescope made from a sextant and bucket to name a few. It looks really special. 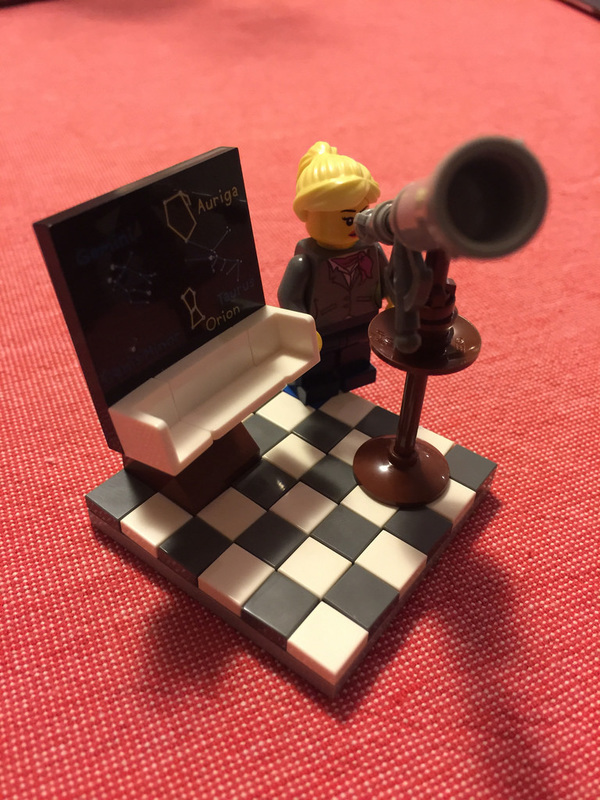 I’m tempted to replace one of the tiles with a 1×1 plate, so the Astronomer can be secured to the vignette. 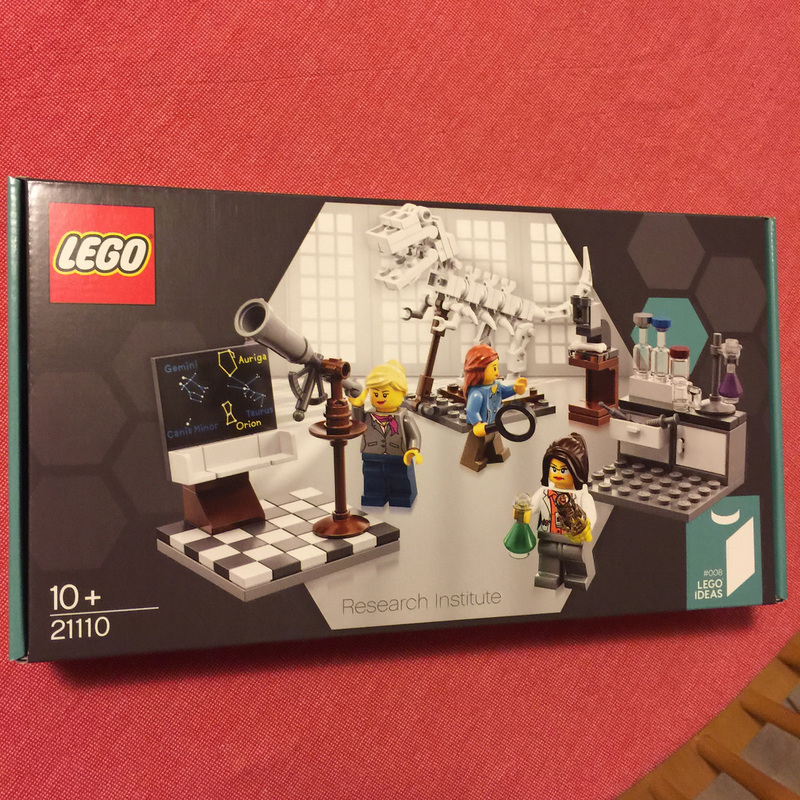 I was really excited to build this set – as soon as I got it I opened it up. This is kind of a first for LEGO. Many other sets include blue collar worker minifigures (construction, emergency services, transportation etc). 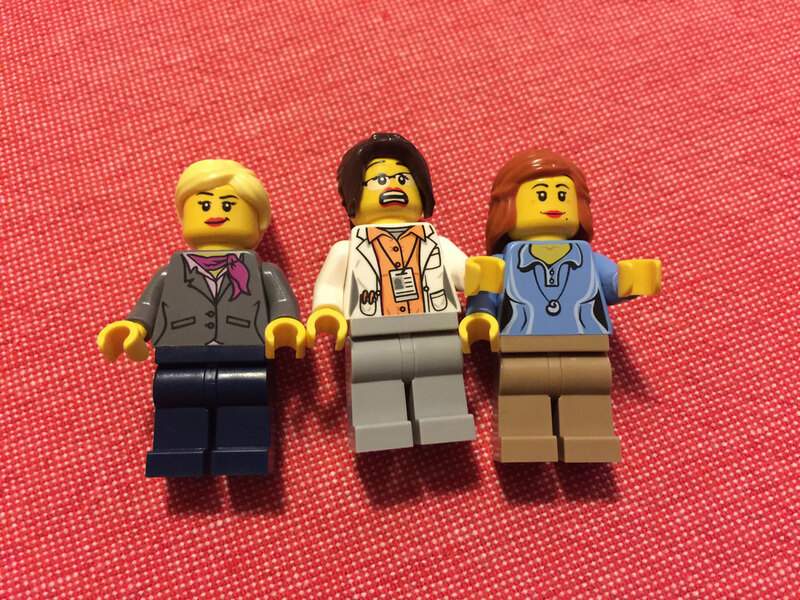 These are all white collar professionals, and only women, which is quite exciting. It’s a real shame that LEGO aren’t producing this set any more, but I guess all good things must come to an end. It’s still available in secondary markets, but you’ll need to pay a bit more for it. Remember, the longer you wait, the more you’ll have to pay! This set gets 8 out of 10 little dino bones. It’s great to look at, has some interesting parts, and has a fairly good amount of playability, especially for a set of this size. The next review will be of 76015: Doc Ock Truck Heist. Time to get stuck into my first Super Heroes set! Like the review? Leave a comment below!